After a normal heat-treatment phase, most steels contain a certain percentage of Austenite that was not fully transformed into Martensite, the so call “retained Austenite” or “RA”. Cryogenic treatment promotes the additional transformation of RA into Martensite, which is the condition that is most desirable. By eliminating retained Austenite, voids or imperfections in the steel’s microstructure are eliminated. This is a widely accepted and well-documented phenomenon that is observed in X-Ray and SEM (scanning electron microscope) analysis of steels before and after cryogenic treatment. During the cryogenic process there is also a precipitation of fine eta carbides throughout the metal; this is in addition to the larger carbides already present in the ferrous metals. These fine carbides increase the bond mechanisms within the molecular structure of the metals, which in turn further increases wear resistance. After the cryogenic treatment, the metals are tempered in the same oven to stabilize the newly formed Martensite. When the process is complete, the metal is a tougher, stronger and a much more durable substance than before. 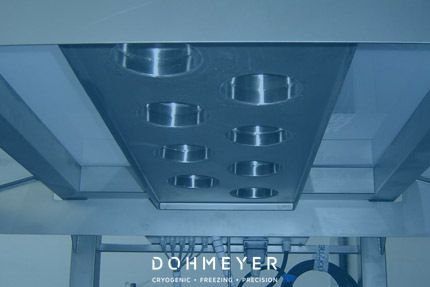 Cryogenic treatment permanently alters the wear resistant metal through its entire thickness; it is not just a coating or surface treatment. 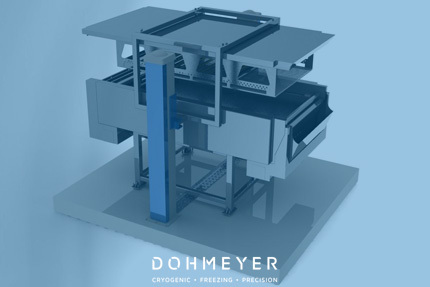 Both ferrous and non-ferrous metals can benefit from deep cryogenic treatment, as it relieves the stress built up by the heat treatment process, as well as any residual stresses caused by the manufacturing and/or machining process. Please click here to read more about cryogenic stress relief, and the range of materials the treatment will work on.